If you’re looking for the brutality of a Dark Souls in a sci-fi setting, then The Surge is probably up your alley. Deck 13 has for the second time this console generation produced a contender for surprise packet of the year. In 2014 it was Lords of the Fallen, a not-so-great game that was drowning in unique ideas, and that had critics and gamers alike applauding the studio’s ambitious attempt to redefine a genre. Three years on and The Surge is in a similar place: far from great, firmly nestled in that “good” range of wonderful ideas and frustrating challenge. 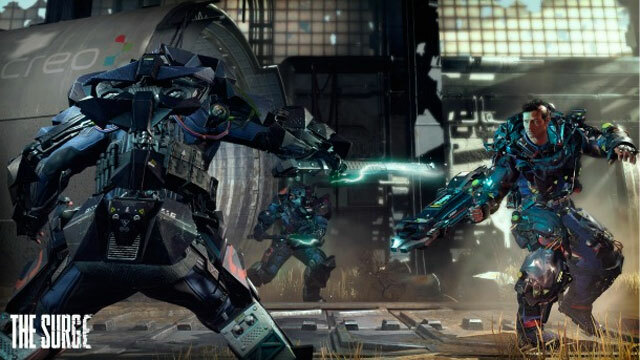 Not one to play or enjoy the Dark Souls’ and Bloodbornes of the world, The Surge is way out of the standard comfort zone for me, but I can see that objectively it’s a very confident game that, while often brought down by its own ambition, still does enough to keep the experience feeling fresh, unique and engaging. I’m not so sure that “action” is right the genre for The Surge, because that suggests to me a world embracing and rewarding of action in an unbridled way. More often than not I found myself barely surviving, perhaps as a product of my own low-tier skillset, but I think because the game world is more about preservation and survival than it cares to admit. The main character of the story here isn’t your exo-suit wearing maniac, but rather the world he occupies. The story is a mostly forgettable and predictable piece of sci-fi, but remembering that The Surge is the closest thing to a Dark Souls sci-fi outing should give you a clear vision of how little the game is actually going to give you about key plot points. 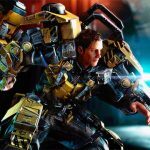 What certainly separates The Surge and others like it from other open-world action games is that it actively goes out of its way to remind you how much it despises your existence, which really fuels much of that preservation and survival instinct the world so aggressively forces upon you. It’s not just in the way the game reacts to you, or how you interact with it: it’s also in the way the game tells a story. It’s almost like you’re not really good enough or privileged enough to know why certain things are happening. I can’t tell if that’s ever really a deal breaker for me, because much of what The Surge possesses is rather compelling, which is ironic, because with such a large, deep universe, one would imagine there would be the characters and story foundation to keep it all relative in context. It might just pick up the further into the game you get, but I fear it’s not quite rewarding enough in those early stanzas to keep some players interested for long enough. It’s easy to give The Surge a pass in this regard, because the exosuit-fuelled gameplay can be so good, and there’s generally a lot to do. It takes a few hours to really establish this for you, but aside from doing the odd-jobs set out by NPCs you meet, I really enjoyed just exploring and finding new tidbits and information scattered around the place. 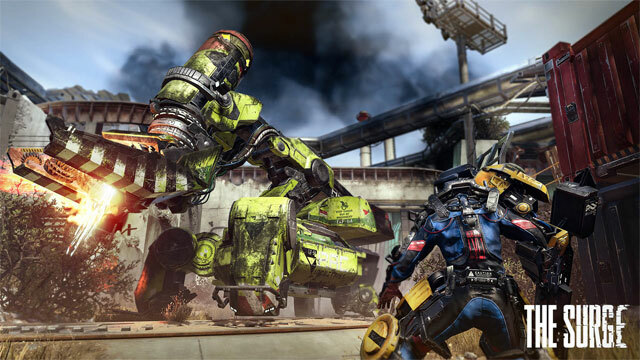 The Surge really excels in that area, and there are few games that seem to care about side-story elements more than this game does. The corporate propaganda scattered around the place also does a fine job of setting the scene for the dystopian, over-industrialised world, one that is equally terrifying and barren as it is lively and inviting. It’s strange like that, much in the same way a Dark Souls game warns you in the most terrifying of ways, yet it’s impossible to ignore the invitation. 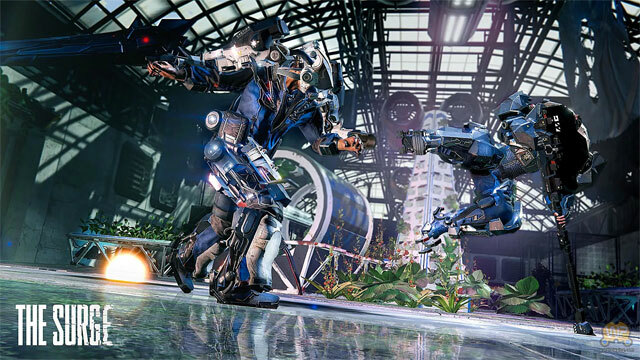 I think it’s going to be easy to ignore a lot of The Surge’s more complex and challenging gameplay elements, because they don’t quite scream out to you in the same way other open-world action games do. If you’ve played Lords of the Fallen, you’ll recognise The Surge’s XP system, with which you gain a multiplier for with every kill. That makes the action feel that little bit more rewarding, and deaths that little bit more devastating. Where The Surge really works to remind how much it dislikes you is in setting a countdown timer after each death, forcing you to rush to retrieve your scrap and earnings before losing them forever. So not only do you stand to lose your hefty XP multiplier, but also any earnings you’ve made between deaths. Watching that timer countdown only to have failed to retrieve what’s important makes for a truly devastating moment. I guess that’s the point. This XP system I believe subconsciously builds up the effectiveness of combat: while the standard battle mechanics are solid, but not particularly memorable, once you establish that epic multiplier, it’s almost like the game mutates into a sympathy of violence and reward. I found myself playing the game confidently after a good streak, which I guess is again the point of the way the system is designed. I’m far more cautious in the early stages of a chain and life, but once I get things going, I’m taking more risks and trying new things, because even though I have more to lose, I stand to earn so much more, too. It’s a shame the AI doesn’t quite stand up to the combat more broadly, but the difficulty meter is up high enough that, even though enemies — human or otherwise — don’t seem to care much about surviving, they’re still going to take a fair amount of damage before being put down. The deeper design philosophy here clearly bleeds into the game’s crafting and exosuit system. You’ll be able to harvest gear from dismembered enemies, although what you harvest and how is entirely dependent on the ways with which you attack said enemy. It’s a challenging risk and reward system that really allows The Surge to establish an identity for itself, and opens the door for a deeper respect of enemy functions and environmental possibilities. 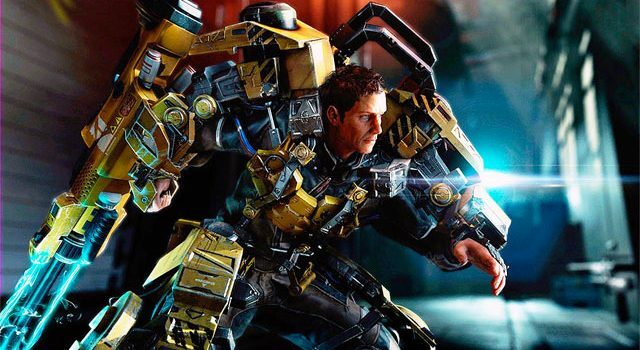 The Surge wants to be hated and loved at the same time, and that ultimately makes it a difficult game to recommend. Unless you’re after a punishing experience that demands a very specific approach to combat, progression and customisation, you’re better off sticking to more approachable games. 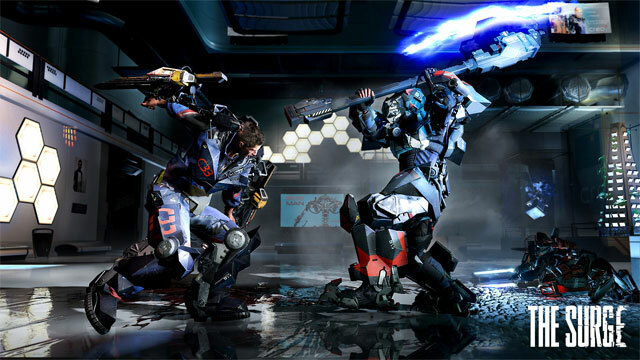 That’s not to say it’s a bad game: The Surge is ambitious enough to warrant a sneaky look. If you’re looking for the brutality of a Dark Souls in a sci-fi setting, then The Surge is probably up your alley.